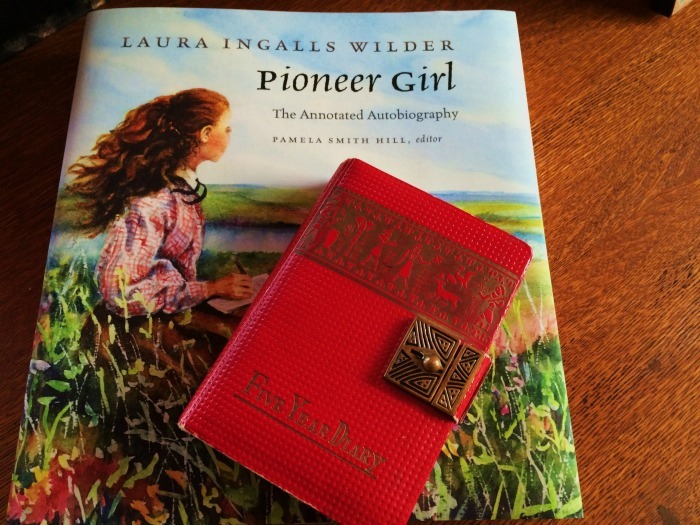 We had the opportunity to interview Pamela Smith Hill, the editor of Pioneer Girl: The Annotated Autobiography, and author of Laura Ingalls Wilder: A Writer’s Life. Pamela has contributed several articles to this site already, with more to come in the future. 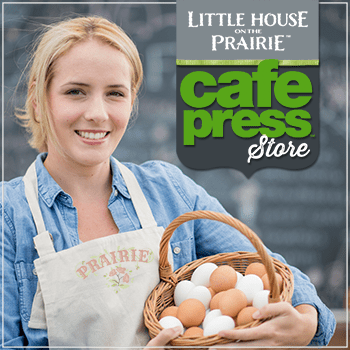 Q: How did you become interested in Laura Ingalls Wilder? I’ve been a bookworm from the moment I first learned to read. A neighbor, perhaps a kindred bookworm, recommended the Little House books when I was ten. My choices, however, were limited. The bookmobile contained just one selection that summer: Little Town on the Prairie. 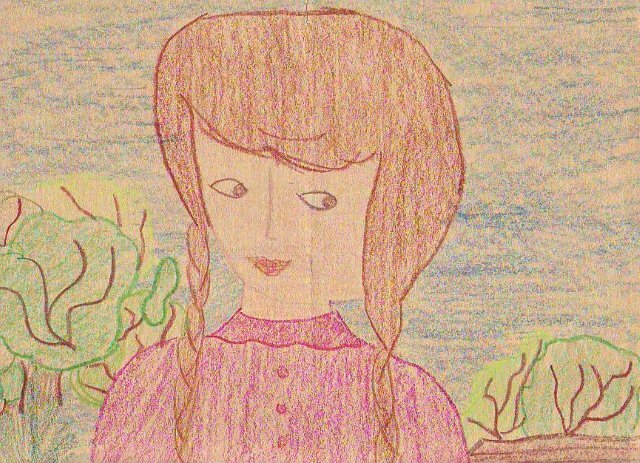 Pamela created this drawing of Laura Ingalls in the fourth grade. But I was hooked right away—because the character of Laura Ingalls grew up to be the author Laura Ingalls Wilder. I was already dreaming of becoming a writer, and searched for clues in the Little House books to see if Laura had had a similar dream too. Over the next year, I read all of Mrs. Wilder’s books. 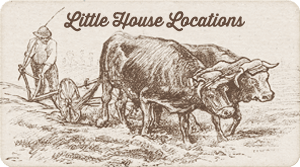 Eventually, I learned that Laura Ingalls Wilder had written all the Little House books from a farm about forty miles away. Like me, she was from the Missouri Ozarks. It was almost more than I could believe. At that age, I had assumed all writers lived in New York, California, or England. Until I read the Little House books, I thought my ambition to write was hopeless; I’d been born in the wrong place. My parents took me to Wilder’s Rocky Ridge Farm the next year. On May 29, 1965, I wrote about that first visit in my very first diary. Seeing Wilder’s handwritten manuscripts on display in her farmhouse made me think that maybe, just maybe I could become a writer after all. I wouldn’t have to convince my parents to move to New York, California, or England! Pamela’s 1965 diary with Pioneer Girl, published nearly forty years later. Years later, after I’d launched my own professional writing career, I moved to South Dakota, where five of Wilder’s novels are set, and there I began to more fully appreciate her artistry, not just as a writer of children’s books, but as a gifted and important American author. At the same time, I also began writing about Wilder—her life and work. My appreciation for her talent deepened. Q: Do you have a favorite Wilder book? As a young reader, my favorite Wilder book was These Happy Golden Years. Like most young readers, I especially enjoyed reading about someone older than me, someone who was standing on the verge of a Happily-Ever-After Life. Laura was still as fearless, capable, and smart as she’d been in the earlier books, but in These Happy Golden Years, she was also grown up, sophisticated, and fashionable. Dressed in her brown poplin and brown velvet hat, she could, nevertheless, take the reins behind Barnum after singing school, and control his frenzied dash past the church, out onto the open prairie, and back again. Laura was courageous yet elegant, assertive yet humble. She was exactly what I aspired to be. 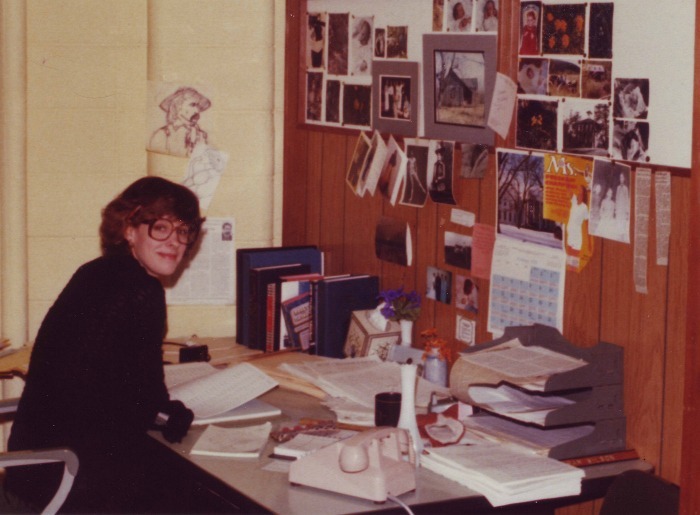 Pamela Smith Hill at work as a public information specialist for the South Dakota Division of Tourism in 1979. She began writing professionally about Laura Ingalls Wilder while working here. There’s an image of the Ingalls girls taped to the wall, just to the right of the Ms. magazine cover. As an adult, however, my favorite book is The Long Winter. I now feel that it’s Wilder’s greatest creative achievement. The book has a flawless story arc; a powerful setting; a primal central conflict; strategic shifts in point of view that advance the story and illuminate character; and a dreamlike narrative voice that heightens the fictional family’s struggle with cold and hunger. Yet despite these technical achievements, the novel’s emotional intensity always remains center stage. It is a masterpiece. Q: Why have Wilder’s books endured? Wilder’s books are at once timeless and universal. Although they explore a very specific slice of American history, they continue to feel contemporary for two primary reasons: the character of Laura Ingalls and the narrative voice of her story. Laura is a richly drawn, complex, three-dimensional character full of believable contradictions: she is assertive yet shy; open-hearted yet restrained; hot-tempered yet contrite. But then again, she isn’t always contrite. When Mary confesses in On the Banks of Plum Creek that she couldn’t possibly be as mean as Nellie Oleson, Laura thinks, “I could. I could be meaner to her than she is to us, if Ma and Pa would let me.”1 Readers across cultures, continents, and generations love Laura for this. Like all great literary characters, Laura Ingalls is flawed yet noble. Readers relate to Laura’s character in a very personal way, primarily because of Wilder’s unique and deceptively simple narrative voice, the second enduring quality of the Little House books. The voice is direct and conversational. There are breaths and spaces in and between the words, allowing readers the freedom to project their own ideas, feelings, and assumptions into the books—and into Laura’s character. Readers come away feeling that Wilder has spoken directly to them. Furthermore, the narrative voice ages as Laura does, and speaks to readers at different levels of maturity. 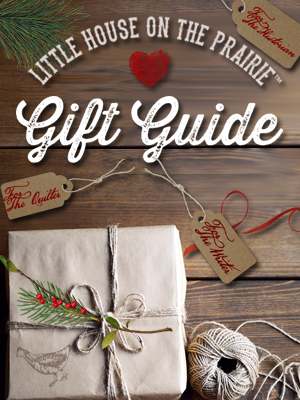 Think about Chapter 19 in Little House on the Prairie where Mr. Edwards describes his encounter with Santa Claus. Very young readers, older children, teens, and adults can find the chapter satisfying, yet take away very different meanings from it. The scene is brilliantly nuanced. 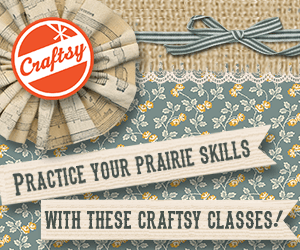 Laura Ingalls Wilder makes artistry seem effortless. The stories she tells in the Little House books seem both believable and inevitable. Perhaps ultimately, this is why her work has endured. 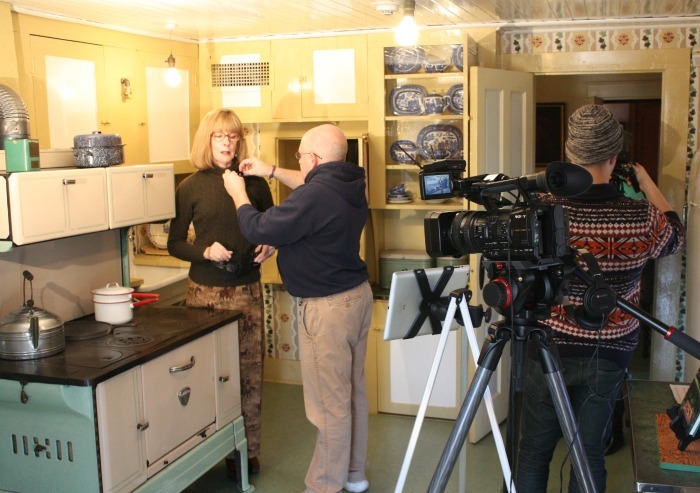 Pamela Smith Hill with Dan Rowland, digital media producer for Missouri State University, prepare to film a lecture in Laura Ingalls Wilder’s farmhouse kitchen at Rocky Ridge Farm in Mansfield, Missouri. Also pictured is assistant Drew Mittman. Q: What are your future plans to teach and write about Laura Ingalls Wilder? Part Two of “Laura Ingalls Wilder: Exploring Her Work and Writing Life,” the massive open online class I teach for Missouri State University, launched April 6, 2015. The university is tentatively planning to repeat both Parts One and Two of the class during the fall 2015, and I will continue to teach an academic literature course about Wilder for MSU students. Will I write about Wilder again? Probably. An idea for a new book is already beginning to take shape, but it’s far too early to talk about it in detail just yet. 1. Laura Ingalls Wilder, On The Banks of Plum Creek (Harper & Brothers: New York, 1937), p. 110. Be sure to subscribe to our newsletter to discover more interviews and articles. I am purchasing all the Little House books (again) to read with my granddaughter. I read them first (in the 1960’s) in the North of England in our public library and I was transported to Plains America and wholly captivated by the narrative. As a young adult I bought the books and read them again but this time aloud to my children as bedtime stories. We read The Long Winter one chapter at a time, through the light nights and steaming heat of a July Summer holiday from school; I will never forget my daughter Eleanor shivering and asking for an extra blanket! My daughters took their favourites of the books with them when they left home for their universities. When she was twenty, my daughter Jessica was very poorly and had to go in to hospital, I stayed with her of course and during that difficult time she chose the comfort of The Little House books for me to read to her as a distraction from her surroundings. So now it’s Niamh’s turn, my granddaughter is four years old, as bright s a button and thoroughly modern in her interests and her manner however, the treat of the age is time spent with Grandma and Granddad. she loves to just “be” with us, cooking, shopping, gardening or sitting on my knee and running her finger along printed pages as I read to her. We will start Little House in The Big Woods when she comes to stay with us next weekend. 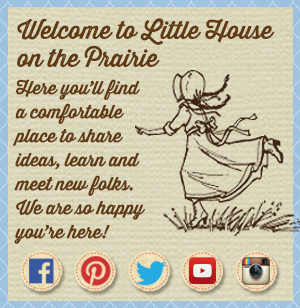 I first read The Little House books when I was in 3rd grade. 30 years later and I still have my original set (quite worn out by now), and continue to read them. Being from MN, I have a special fondness for “On The Banks Of Plum Creek”. I think one of the reasons I continue to love these stories is because they are also tied to some of my favorite memories. My parents noted my love of all things Little House and took our family to the museum in Walnut Grove. When we left the museum, I noticed after a while that we were not heading towards home. My parents surprised us by driving through to DeSmet, SD and stopping at the Laura Ingalls Wilder museum there. These days one of my best friends and I go on Little House vacations and visit the various sites. One of my favorite memories is of us being at Plum Creek and her husband called. I can still vividly hear explaining with much excitement “We’re ON THE BANKS OF PLUM CREEK!” She then had to explain to her husband this was a title of one of the books 🙂 Our dream is to make it down to Rocky Ridge Farm. I’m currently reading Pioneer Girl and am enjoying learning new facts about the Ingalls family and Laura as a writer. Are either of the Ingalls girls alive? I Really enjoyed all of the episodes Avery Much! I finished reading Pioneer Girl about a month ago, and can only say ” what goes around, comes around”, meaning the autobiography started the little house saga’s circle. 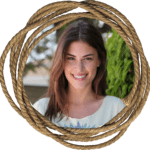 At mid-circle comes the TV series and now at full circle we have Laurapalooza, little house’s 40th anniversary,and the beautiful DVD releasings.My local library has a waiting-list for Pioneer Girl!! It’s a wonderful piece of scholarship! !